There's an electric scooter with a unique shape called 'GenZe 2.0' developed by a subsidiary of the Indian automotive company in America, named GenZe by Mahindra. 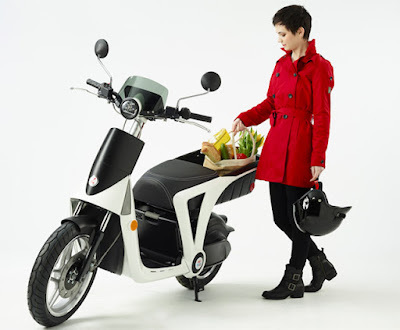 This electric scooter is reportedly getting ready to penetrate the European market. 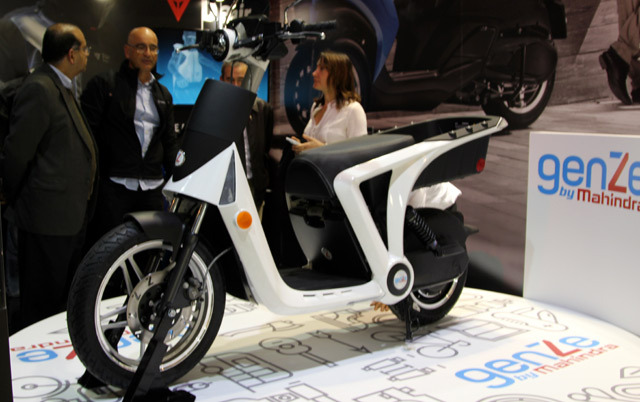 It looks after the Silicon Valley-based company shows the figure of environmentally friendly scooter for the first time in Europe at the Peugeot booth in the EICMA 2015 some time ago. These unique-shaped e-scooters using fairly lightweight chassis because it is fully made of aluminum, as well as using 16-inches rim in front and 12-inches rear. And also has a choice of three riding modes, namely Sport, Easy and Eco. 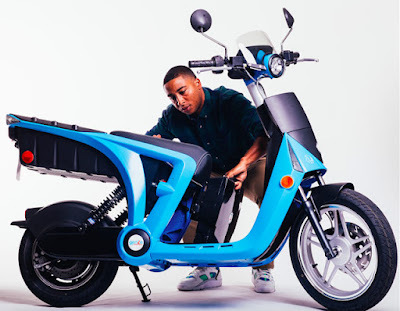 This scooter has many of technology features among others have a 7-inches size screen of GenZe Cruise-Connect System that can be used to monitor the vehicle data (about speed, autonomy and battery state) from the cloud–based system. So the rider has access, through specific applications, for functions of smartphones such as GPS, music and social media. This connectivity also allows him to manage his scooter settings from a distance. Lastly, GenZe 2.0 offers great transport capacity of goods in volume thanks to Backbay which allows to load all kinds of objects such as backpacks, shopping cart. The seats can be adjusted to the needs of the rider and there is a port connected to allow filling smartphone, tablet or PC while riding. 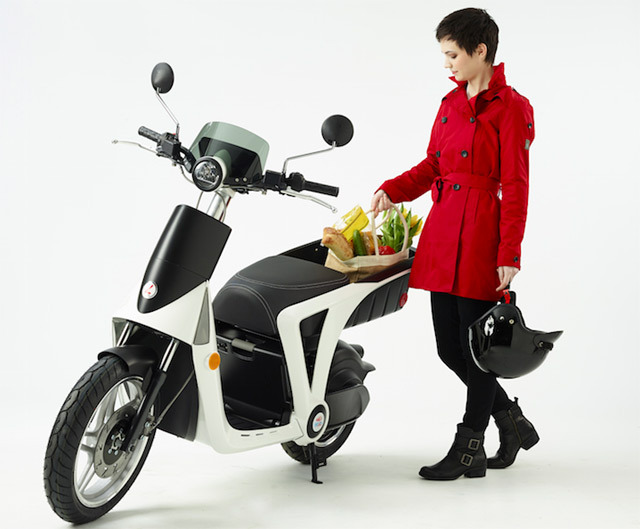 This electric scooter is equipped with a 1.6 kWh lithium ion battery and is intended for use in urban areas. 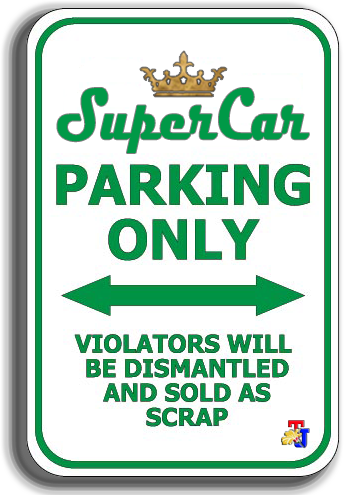 The battery can be removed of the scooter body so that users can recharge it anywhere using a standard household electricity socket, either in the apartment or at home. So that the electric scooter is suitable for those who want a fast but environmentally friendly vehicles as well as living in urban areas. The battery fully charged up to 3.5 hours, and 2 hours charging will meet up to 90 percent of battery capacity.